Any idea how much sugar is in that juice drink? 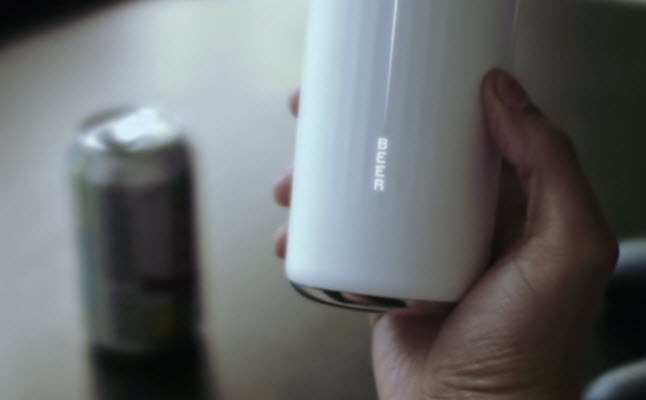 The Vessyl drinking cup can detect and log your fluid intake. Worried you’re not sufficiently hydrating during the day? The Vessyl drinking cup (now accepting pre-orders) can detect and log your fluid intake. How smart is it? In addition to H2O this chalice can apparently identify various beverages by name (e.g., Crush soda, Vitamin Water, Tropicana O.J.) and even varieties of Gatorade flavors. The on-cup display shows beverage amount and components (i.e., sugar, caffeine, etc.) and the data is sent to your activity tracking device. Although I am not sold on the need for this level of monitoring I do appreciate the science behind it. Among the wave of activity trackers flooding our internet shelves this will certainly appeal to some. For more on the Vessyl click here.